JUKKASJÄRVI, SWEDEN – Saab customers, VIP guests and dealers from all over the world are being greeted with an ‘iced’ 9-3 Convertible when they arrive for the Saab Ice Experience event at Sweden’s world famous ICEHOTEL. 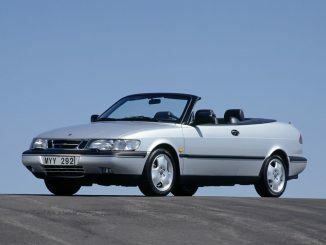 Saab broke the ice, more than 20 years ago, when it pioneered the concept of an open-top car providing practical, year-round transport. 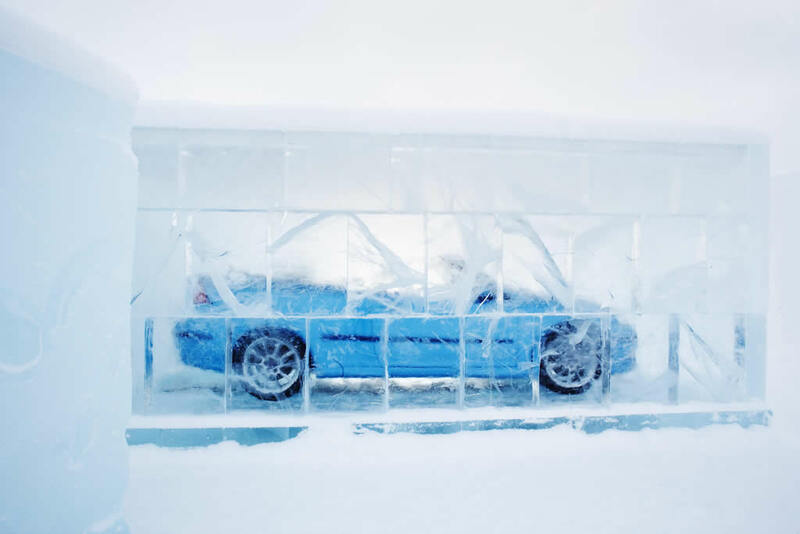 So it was clearly a cool idea to ‘freeze frame’ the latest Saab 9-3 Convertible in a garage made from ice at the hotel, near Jukkasjärvi in northern Sweden, 200 kilometers north of the Arctic Circle. Visible at night from a kilometer away, the icy reflections of the convertible’s illuminated bright blue paintwork give arriving guests an automotive interpretation of the Northern Lights. The installation, added to this year’s version of the ICEHOTEL, is made from 60 ice blocks, weighing 30 tons, all harvested from the nearby Torne River, one of Europe’s purest. 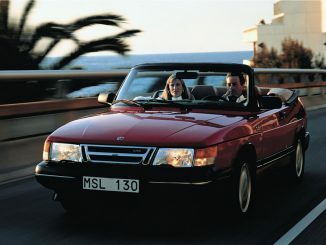 Saab is celebrating its 60 years of automotive manufacturing this year and the 9-3 Convertible model was chosen to light up the sky. 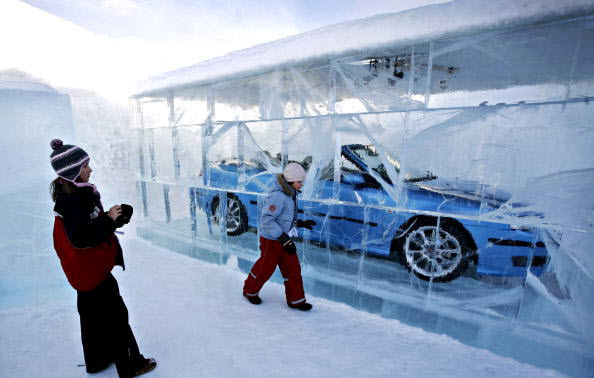 About 500 guests will attend the event, which finishes on March 18, although test-driving will not include the ice-bound convertible. 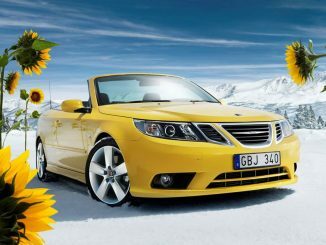 “Snow and ice are core elements of Scandinavian nature, so it was a very natural step for us to adopt this theme for our Convertible, the original car for all seasons.” says Marie Larsson, Saab event project manager. “Sweden also has a strong tradition for environmental care. For example, the ice used to build this hotel is a renewable resource that is recycled each year when it melts and returns to the river. In a similar way, our Saab BioPower engines are able to run on bioethanol, a renewable fuel with a greatly reduced CO2 impact.